Since 1997, D&T Pest and Termite Control Inc. has been providing pest control in Natick, MA and the surrounding areas. Whether you’re currently dealing with an insect infestation or a rodent problem, the fully licensed and insured pest control company can set you up with the right services to get rid of pests. 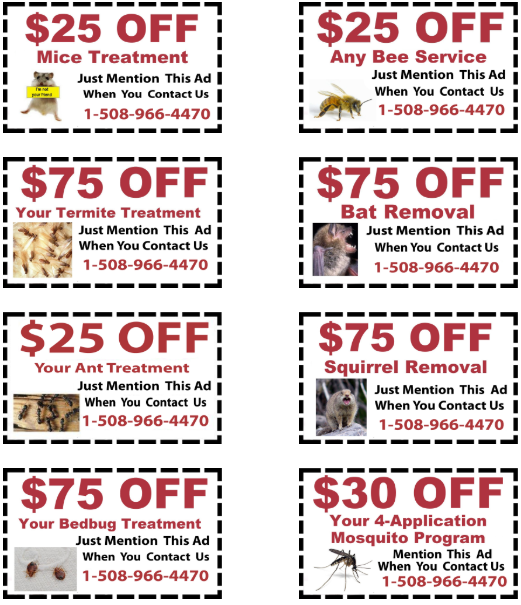 The family owned and operated D&T Pest and Termite Control Inc. can conduct mice treatment, termite control, ant control, bedbug treatment, bee removal, bat removal, squirrel removal, mosquito treatment, and even tick treatment. There is no pest problem too big or too small for D&T Pest and Termite Control Inc. Whether you’ve seen a single mouse in your kitchen, a swarm of bats up in your attic, or a gigantic termite colony, a specialist from D&T Pest and Termite Control Inc. can come out to your home or business to perform pest control in Natick. Using their extensive experience and expertise in the pest control industry, the specialist can pinpoint the source of the problem and work to remove pests from your home or business for good. Whether that means providing you with mice treatment, ant control, or squirrel removal, D&T Pest and Termite Control Inc. is prepared to take on any challenge. There’s a reason why people have come to D&T Pest and Termite Control Inc. for pest control in Natick, MA for more than two decades now. It’s because they know they can trust the specialists at D&T Pest and Termite Control Inc. to carry out services like termite control, mice treatment, bedbug treatment, mosquito treatment, and more quickly. They also know they’ll get the best price possible on pest control in Natick, regardless of how large of a pest problem they might have. Get in touch with D&T Pest and Termite Control Inc. at 508-966-4470 to schedule pest control in Natick.